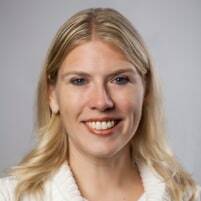 Jennifer Marsman is a Principal Software Development Engineer in Microsoft’s Developer Experience group, where she educates developers on Microsoft’s new technologies with a focus on data science, machine learning, and artificial intelligence. In this role, Jennifer is a frequent speaker at software development conferences around the world. In 2016, Jennifer was recognized as one of the “top 100 most influential individuals in artificial intelligence and machine learning” by Onalytica. She has been featured in Bloomberg for her work using EEG and machine learning to perform lie detection. In 2009, Jennifer was chosen as “Techie whose innovation will have the biggest impact” by X-OLOGY for her work with GiveCamps, a weekend-long event where developers code for charity. She has also received many honors from Microsoft, including the “Best in Role” award for Technical Evangelism, Central Region Top Contributor Award, Heartland District Top Contributor Award, DPE Community Evangelist Award, CPE Champion Award, MSUS Diversity & Inclusion Award, Gold Club, and Platinum Club. Prior to becoming a Developer Evangelist, Jennifer was a software developer in Microsoft’s Natural Interactive Services division. In this role, she earned two patents for her work in search and data mining algorithms. Jennifer has also held positions with Ford Motor Company, National Instruments, and Soar Technology. Jennifer holds a Bachelor’s Degree in Computer Engineering and Master’s Degree in Computer Science and Engineering from the University of Michigan in Ann Arbor. Her graduate work specialized in artificial intelligence and computational theory. Using an EPOC headset from Emotiv, I have captured 14 channels of EEG (brain waves) while subjects lied and answered truthfully to a series of questions. I fed this labelled dataset into Azure Machine Learning to build a classifier which predicts whether a subject is telling the truth or lying. In this session, I will share my results on this “lie detector” experiment. I will show my machine learning model, data cleaning process, and results, along with discussing the limitations of my approach and next steps/resources. Attendees will gain exposure to the Emotiv EPOC headset and Azure Machine Learning.